On 23 October Turkey’s President Recep Tayyip Erdogan spoke at the 2023 Education Vision program organized by the Ministry of National Education, in which the 2023 Education Vision report was published. Reforming the education system has remained an important item on the AK Party’s agenda since coming to power in 2002. It’s also remained a problem that the government is still trying to overcome. Various changes have been made in the system, trying to ensure an adaptive and inclusive system for all – including the 3+ million refugees that Turkey hosts. 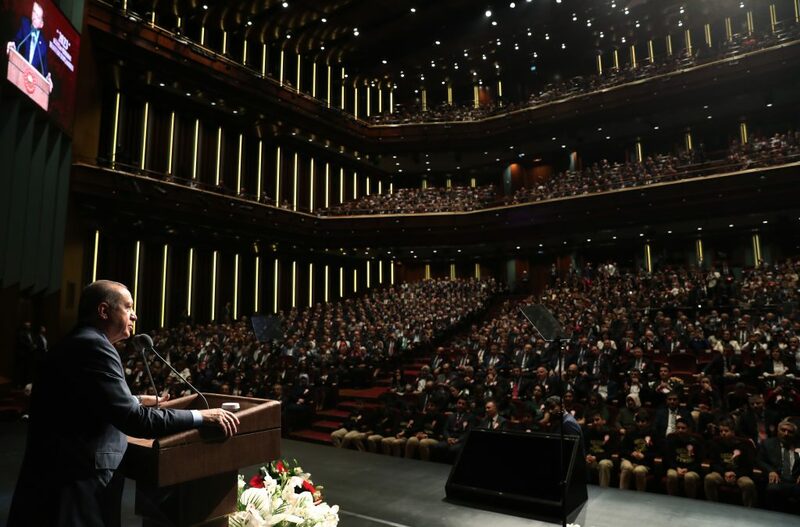 During his speech, the President firstly highlighted how important education has been for the AK Party and how the government has increased the education budget from 7,5 billion to 92 billion Turkish Liras. Referring to the failed July 15 coup attempt, President Erdogan underlined how FETO tried to manipulate the weakness of the education system in its plan to topple the government. The Fetullah Terrorist Organization (FETO) is well known to have provide its own followers exam questions and answers to important exams including the higher education entrance. While there are many infant schools in Turkey, sending children to pre-school education is not compulsory in Turkey. With the announcement made by Erdogan, it has become clear that the government is working to make this compulsory. This is arguably one of the biggest highlights of the education package, as parents (especially working parents) suffer greatly from having to send their children to private institutions.